An increasing reliance on technology in all businesses today means the cost of downtime is higher than ever. Whether your concerns are focused on specific types of incidents such as application corruption, virus, or natural disaster, or you need to fulfill a specific SLA or regulatory requirement, Palmetto Virtual DataCenter (PvDC) can help you achieve your recovery needs. PvDC Business Continuity Solutions (BCS) enable organizations to recover their IT resources efficiently and effectively when an adverse situation strikes, protecting you from loss of revenue, data, or reputation. PvDC’s BCS dramatically reduces your day-to-day management complexity and streamlines your operations, eliminating the complexity typically associated with managing business recovery software solutions. Many of the manual tasks associated with a typical business recovery solution are automated with BCS, reducing or eliminating errors. Automates the entire failover and failback process, including creation of all the VMs, reconfiguring IP addresses and executing custom scripts. 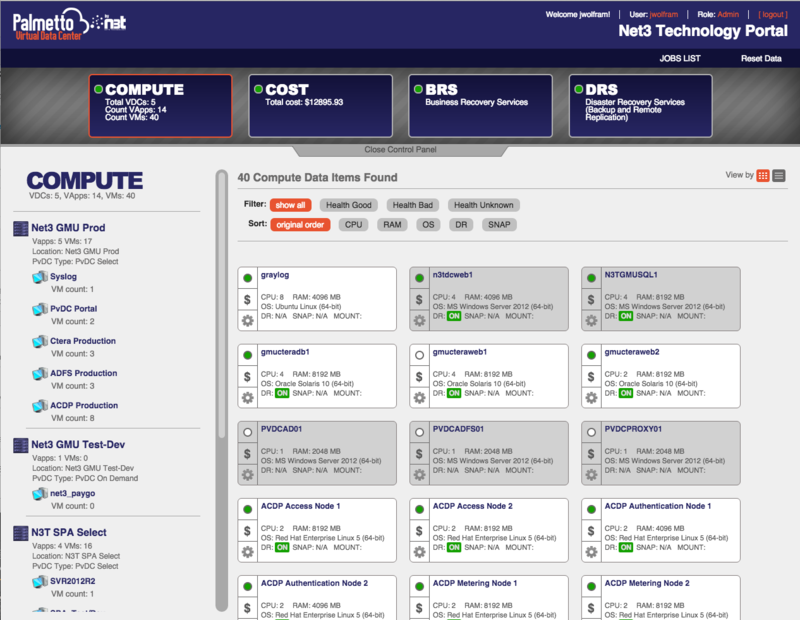 Utilizes continuous replication and does not utilize snapshots which can slow down your production environment. Supports ‘Virtual Protection Group’ concept, you can protect an entire application spanning multiple VMs with a single policy and a single automated failover and failback process. Supports VMware VMotion, DRS and HA, plus Storage VMotion and DRS. With PvDC’s Business Continuity Solutions, you are able to fully realize the benefits of VMware and ensure your data protection strategy is maintained exactly as you have specified.